To overestimate the role of iodine in the body is impossible. This element is essential for the normal functioning of the thyroid gland, which depends on the immune system, maintaining hormonal balance, the capacity of the brain, metabolism, etc. Due to iodine-containing organic compounds, the synthesis of hormones. Iodine deficiency leads to endemic goiter. How can I replace the "codomain"
Thyroid enlargement is accompanied by a decrease of its functions, which leads to a decrease in the intensity of metabolism. The first signs of deficiency of iodine is manifested in the reactions to events happening around them. Man "falls" asleep, it cannot be anything to motivate, to captivate, to surprise. He doesn't care, the good news is not good, not bad bro. In the memory ceased to hold information, it becomes difficult to maintain a conversation. With the same amount of food, the weight began to increase. In spite of the care quality beauty products, skin become dry, appeared edema. Brittle nails and hair, which are not only split, but to fall out beams. All these are signs of overt iodine deficiency. Then shortness of breath and heart pain, aggravated by the slightest exercise. Hearing loss, feeling of weakness, drowsiness, and chilliness complete the picture. Besides the visual signs of lack of iodine in the body there are other methods of its precise definition. 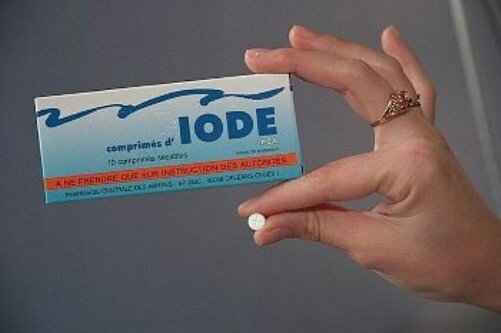 To start own you can try to check how things are going with the content of iodine in the blood. The most simple, accordingly, not the most accurate – is to check the iodine mesh. Wet a cotton swab in alcohol tincture of iodine and paint a grid on the lower abdomen of size 10*10 lines of average fat content. Let it dry and go to bed wearing pajamas. If the grid disappeared completely, or half, there was a distinct lack of iodine. If the color intensity is preserved, then the iodine in the body in order. But this method suffers from a too large error. It is therefore necessary to refer their suspicion to the endocrinologist. He will prescribe a blood content of thyroid hormones and to determine the level of excretion of iodine from the body (urine). Only after determining these analyses will be aware of the content of iodine in the body. With a mild deficiency of this element is usually prescribed "Antistrumin". The duration of treatment can vary from 6 months to a year. Without a doctor's prescription to use such drugs impossible. 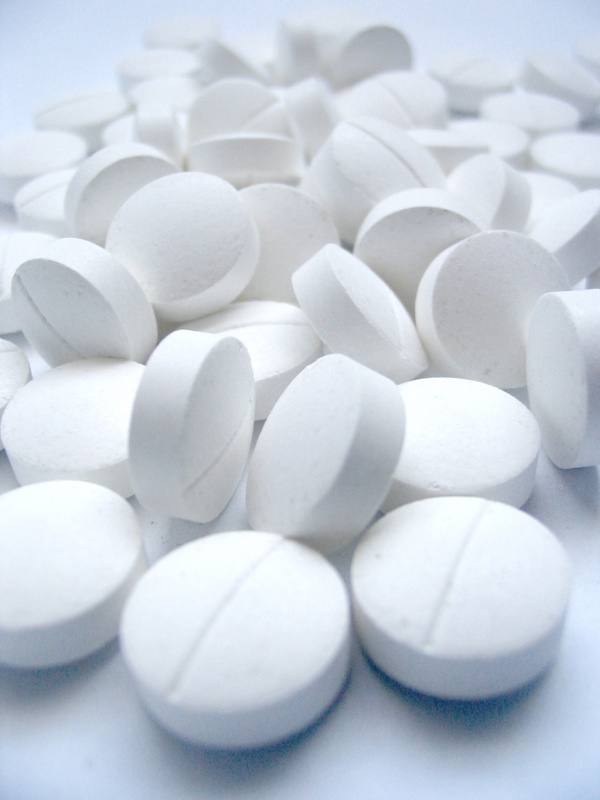 Endometriosis, fibrocystic mastopathy, uterine fibroids, myxedema, anemia, which can not be cured taking iron supplements, cardiac problems that are not amenable to medicines and diets, osteohondroznye symptoms, incurable by traditional methods – all of which can be the result of iodine deficiency in the body. In addition to drug therapy used methods of physiotherapy: electrophoresis, UHF, physiotherapy UHF microwaves (UHF), etc. The problem of the lack of iodine in the body is quite common. Iodine deficiency and related diseases affect more than half a billion people in all corners of the planet. How to check whether your body the deficiency of this vital trace mineral? Listen to your feelings. Do you have the constant feeling of a lump in the throat? Monitor your weight, stable performance? Note appetite, increased or dropped it recently? How do you assess the state of your own immune system: does your immune system frequent crashes? It is necessary to pay attention to such signs of lack of iodineas excessive sweating, cold hands or feet, or hot. If you do not freeze, regardless of the weather? Not the chills you felt a little shiver? Not to bother you, seemingly without reason, headaches? Pay attention to their emotional state: not possessed any the last time feeling a vague anxiety, have frequent sudden mood swings? Monitor your heart rate not elevated? You may have started to notice fatigue, drowsiness lately, decreased libido? Lack of iodine has a negative impact on all body systems, including digestion. The digestive tract begins to function unstable failures. Constipation, diarrhea – at the heart of these problems could be the lack of such trace elements as iodine. The outward signs of lack of iodine in your body – oily dull hair, brittle nails, dry skin. In the presence of such symptoms, take more closely to his condition. If your family already had thyroid disease, you most affected by this issue. If you yourself have noted 4-5 of the above symptoms, if your relatives suffered from a similar problem, as soon as possible, please refer to the endocrinologist, he will conduct the necessary research and, if necessary, prescribe treatment. Well-timed treatment of iodine deficiency will save you from serious endocrine diseases.